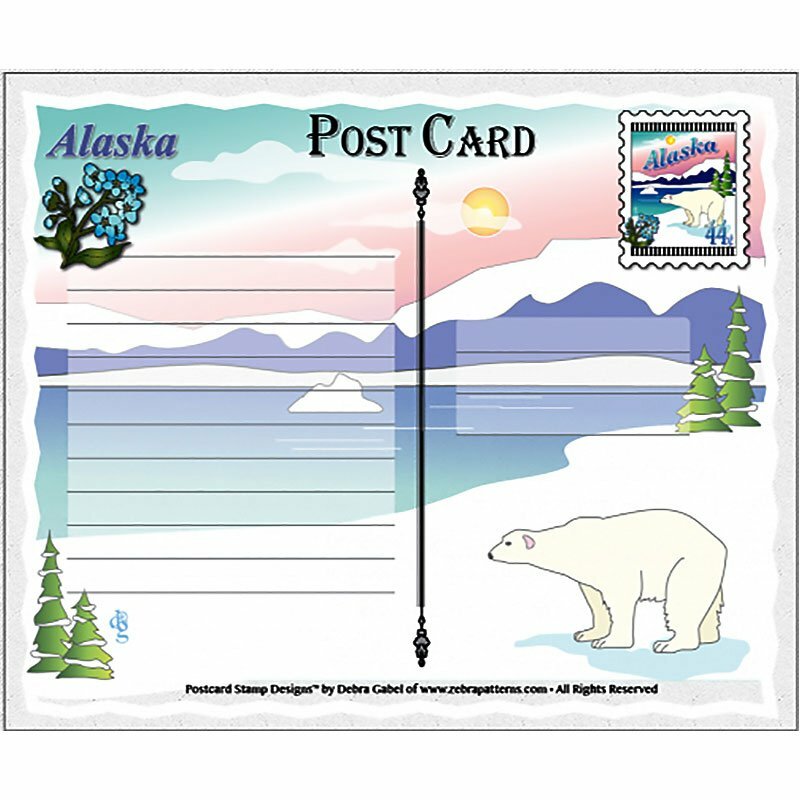 Alaska themed fabric postcard back printed on 100% Organic sateen cotton. Double-sided fusible foam batting piece by Bosal Foam & Fiber Co. Fabric postcards are quick, fun and full of surprise and their not expensive to mail or hard to find a place to put the new treasure.